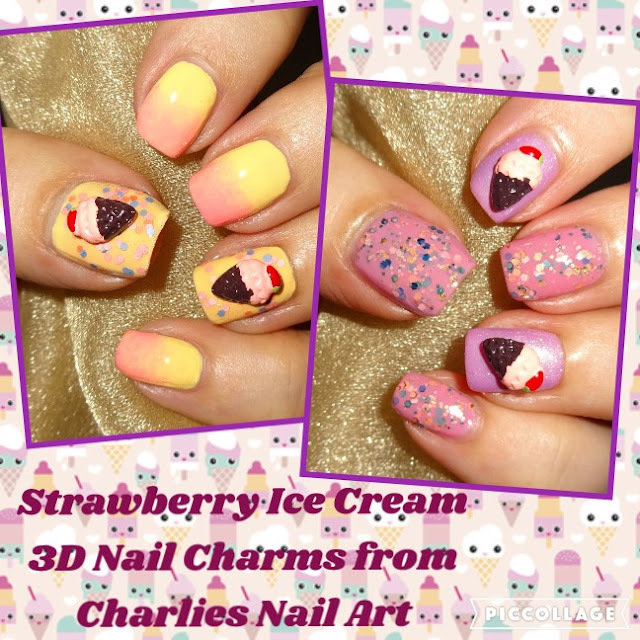 A couple of summer inspired manis to share with you using Strawberry Ice Cream 3D Nail Charms from Charlies Nail Art. They come in a pack of 2, are flat backed and are reusable. There's nothing like a refreshing yummy ice cream cornet to cool you down on a hot sunny day. I attached the Strawberry Ice Cream 3D Nail Charms while the top coat was still wet however nail glue will be a more secure option. 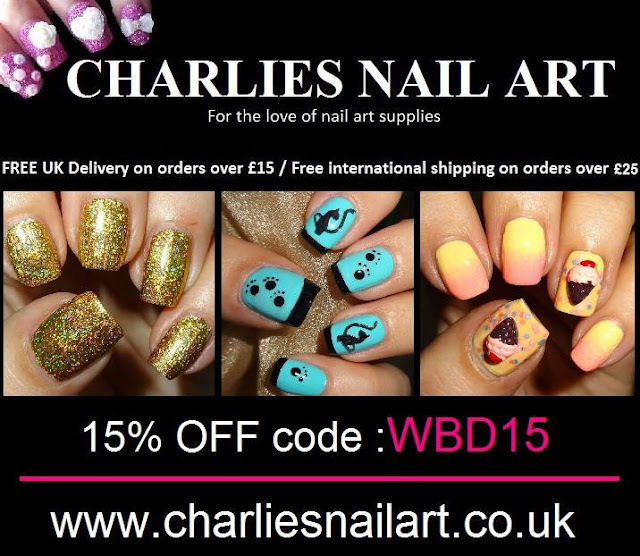 The Strawberry Ice Cream 3D Nail Charms currently cost £0.29 for a pack of 2.